Strawberries are one of the yummiest and juiciest fruits around. Along with blueberries and cranberries, strawberries are used in making desserts, juices and shakes. Both children and adults love its mouth-watering scent and delicious flavor. 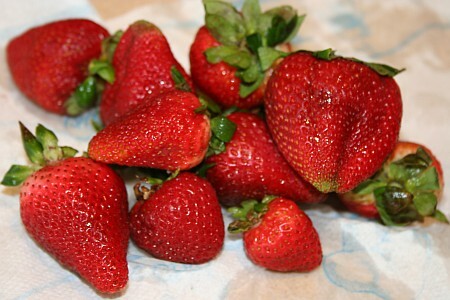 What most attracts us to strawberries, however, is its red appearance when ripe. What is it in strawberries that make them look so enticingly red? Is it something in the fruit? If cranberries were a dark red and blueberries were blue, then why do strawberries appear bright red on the outside and pinkish on the inside? The answer is in the natural pigment called anthocyanin. Anthocyanin is produced naturally by plants. It can be found in the leaves, stems, flowers and fruits. The pigment may appear either red, blue or purple depending on the acidity of the plant part. When there are too many anthocyanins in the fruit’s skin, it appears a rusty red or brown instead of red. The pigment is also classified as a flavonoid which is a chemical that lends flavor to fruits and plants. As a flavonoid, anthocyanins are seen as derivatives of anthocyanidins which include pendant sugars in the composition. This makes the fruit’s flavor naturally sweet. Is it something in the light? We all know that light has a strata of colors in it. These colors can be individually seen through a prism or when we look at a rainbow in the sky. And when light strikes any surface, it is absorbed by that surface. However, not all colors in the strata are absorbed. Some colors bounce back to the human eye, and this color is what we all see. This is the color by which we identify that object’s color. Aside from the natural red pigmentation, a strawberry looks red because of the way the light reflects from the fruit’s surface. When any object is exposed to light, it reflects the color in the prism that it cannot absorb. 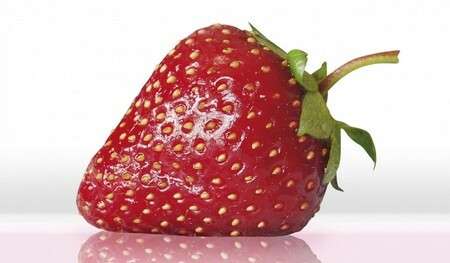 In the case of the strawberry, most of the red just bounces back because the fruit simply needs a bit of red. Will using a red mulch make strawberries appear redder? The answer is yes. In a scientific study on using red mulch versus black mulch, the researchers found out that the strawberries that grew with red mulch underneath the roots were redder and had a richer aroma as compared to those strawberries that had black mulch as fertilizer. The reason for this development is that the red plastic mulch was formulated to reflect more far-red (FR) and red light (R) and a higher FR/R photon ratio than is reflected by standard black plastic mulch. The red mulch then modified the gene expression in the strawberry plants to increase the compounds that produce the color and aroma of the fruits. Plants rich in anthocyanins include blueberry, cranberry and bilberry, Rubus berries including black raspberry, red raspberry and blackberry, blackcurrant, cherry, eggplant peel, black rice, Concord grape and muscadine grape, red cabbage and violet petals. Anthocyanins are less abundant in banana, asparagus, pea, fennel, pear and potato, and may be totally absent in certain green gooseberries. Among the fruits listed above, black raspberry has been proven to have the strongest effects against cancer in rat esophagus. The black raspberry was chosen as a source for anthocyanin testing because they have the richest contents of anthocyanins among native North American Rubus berries. Based on this evidence, studies using human test subjects are now underway to examine anti-cancer effects of black raspberries and cranberries on tumors in the esophagus, prostate and colon. Why Does Fluid Build Up In The Lungs?